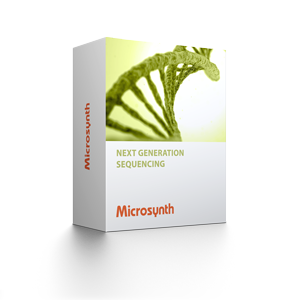 Microsynth has developed several bioinformatic modules in the targeted sequencing area. The modules are used for our full service applications, but can also be used for bioinformatics only projects. These so called stand-alone modules can be extended with our complementary services. The amplicon metagenomics analysis module consists of reads clustering into OTUs, assignment of taxonomic profiles and calculation of α-diversity. Prior to clustering the raw paired-end reads are trimmed, merged, quality filtered and cleaned for chimeras. Example results of the 16S/ITS metagenomics module. The amplicon deep sequencing module includes read mapping to the reference sequence, calling of single nucleotide variations (SNVs) and small insertions and deletions (InDels) and a coverage analysis. The confidence of the variations is determined and the detection limit is estimated (if allowed by experimental setup). Example results of the amplicon deep sequencing module. Sequences derived from directed genome editing experiments are merged and dereplicated. That is, unique sequences are identified such that only one copy of each sequence is reported along with frequencies and basic statistics. Dereplicated reads are aligned to the unmodified target locus and insertion and deletion (InDels) along their frequency is reported. Example results of the CRISPR/Cas9 sequencing module. Analysis for ChIP sequencing projects comprises mapping of the reads to the reference genome, peak finding, detection of enriched motifs and quantification and annotation thereof. Up and down-regulated pathways are determined as well. Bioinformatics can be conducted with or without background/input-control samples. Example results of the ChIP sequencing module. The whole exome sequencing module includes read mapping to the reference exome, calling of single nucleotide variations (SNVs) and small insertions and deletions (InDels), a comprehensive coverage analysis and comparison of the detected variations to databases of known variants (e.g., ClinVar - NCBI - NIH). Example results of the whole exome sequencing module.